Is This Planet 9 Really Nibiru? 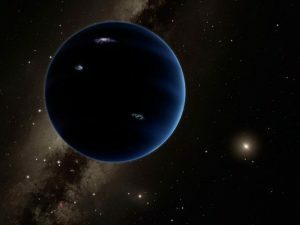 The Planet 9 speculation has risen again recently as the Division of Planetary Science had their annual get together last week. 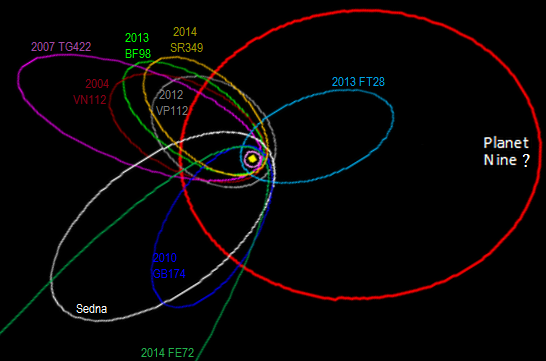 Their Planet 9 speculative theory is that there is a ninth planet hiding somewhere behind Pluto. Since Pluto was officially downgraded by Mike Brown, and is no longer considered a planet, that is where the mysterious planet’s name comes from. While mainstream science, as well as NASA, continue to deny that such a heavenly body called Nibiru exists, many must venture out of mainstream science to discover what connections there may be between the legendary Planet X and the scientists and astronomers who are touting the existence of their Planet 9. Mainstream science declares that the sun has been tilted somewhat recently and it is affecting the orbits of the planets around us. They also speculate that the sun’s tilt has been caused by their mysterious Planet 9. They further say that the planet has a rather strange and long orbit that seems to counter to the orbits of the solar system’s inner planets. Further, mainstream scientists say that Planet 9 orbits the sun in an elliptical pattern about every ten to twenty thousand years or so and is several times larger that Earth. The existence of a planet named Nibiru is found in the ancient writings of the Sumerian civilization, which is the oldest known human civilization in history. Much like Egyptian hieroglyphics, there language wasn’t understood and translated until the 1970’s by a man named Zecharia Sitchin. What Sitchin translated however, was the story of humankind and how this mysterious Nibiru came into our solar system. According to the Sumerians, an extraterrestrial race know as the Annunaki, or the Nephilim, came to Earth around 400,000 years ago to mine gold. Apparently, their planet (Nibiru) had gigantic atmospheric holes in its ozone layers. They found that if they turned gold into meta flake and shot it into the holes, the gold meta flake would adhere and seal up the holes. Nibiru, however, soon ran out of its own gold so expeditions were sent out to find more. This is a photograph of a photograph taken in the later half of 2012 showing Nibiru in its orbit. Jumping forward in the tale, Nibiru watchers know that it is there and that it is out beyond Pluto. They also know that it passes through our solar system in its orbit around the sun every 3,600 years. The size of the planet, they say, is so gigantic that it would dwarf much of the solar system and that it is at least 65 times larger than the sun and about 6,500 times the size of Earth. The non mainstream scientists say that Nibiru came through our solar system back in 2002 and greatly affected the orbits of the planets and the tilt of the sun. They further claim that Nibiru came so close to Earth that it was seen in the sky in late 2012 appearing as if it were a gigantic star. Because the planet came so close, it upset the ocean balance causing huge earthquakes and tsunamis all over the planet. Those have been seen and recorded and are blamed on Nibiru’s titanic gravitational force since it is so large a heavenly body. So, it seems, the debate between mainstream and non mainstream astronomy will continue though mainstream science continues to declare that what they don’t declare as existing doesn’t exist.